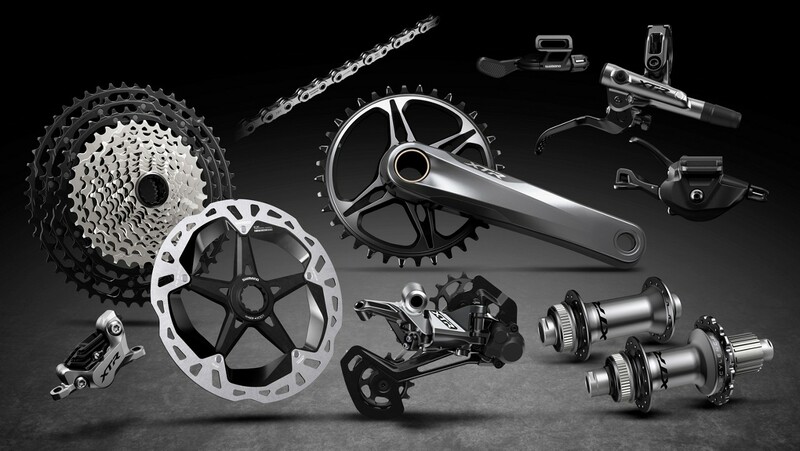 With the introduction of XTR M9100-series, SHIMANO continues the legacy of innovation associated with XTR as the ultimate mountain bike racing component group. New XTR M9100 establishes the new benchmark in mountain bike race performance with unrivaled component customization for every rider and racer’s potential. Engineered for the next generation of race bikes, new XTR components deliver SHIMANO’S widest range gear options with the new 12-speed drivetrain and 10-51T cassette while offering superior shifting and braking systems specifically tuned to meet the demands of all racers. New SHIMANO technologies further enhance XTR systems, including the revolutionary HYPERGLIDE+ cassette tooth design and new HG chain for improved shifting efficiency up and down the cassette while the MICRO SPLINE FREEHUB delivers a lightweight construction that works seamlessly with the system’s new small 10-tooth cog. 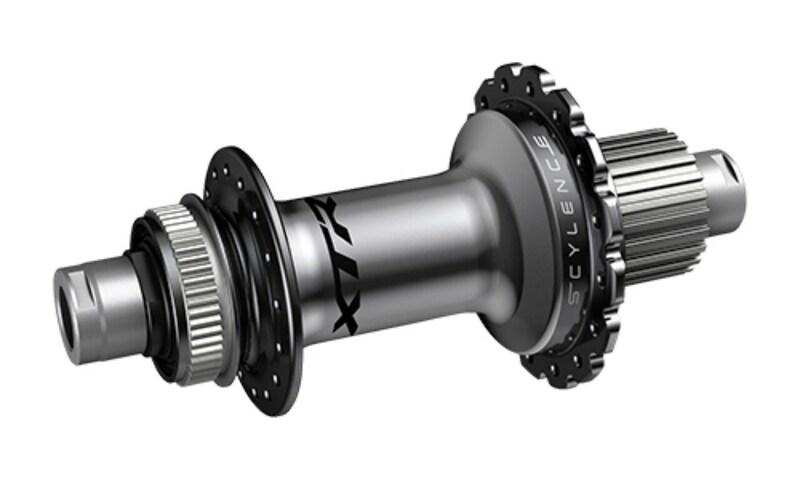 Optimized and built to the highest demands of racers, new XTR M9100 provides faster and smoother shifting with Shimano’s new HYPERGLIDE+ engineering and MICRO SPLINE Freehub technology. Extensive feedback from Shimano’s global mountain bike athletes delivered insights that one drivetrain does not fit all racers. 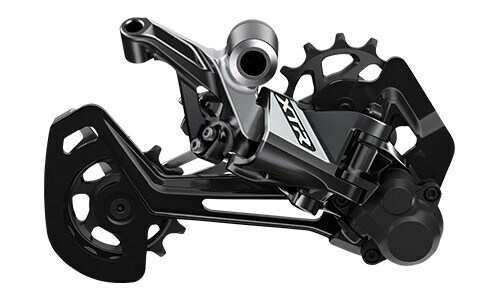 With that in mind, new XTR M9100 offers a range of gearing choices, single and double front chainring setups and a unique 11-speed drivetrain option that shaves valuable weight off the system without sacrificing performance and speed. Chain retention has been drastically improved as well thanks to advancements with the new M9100 rear derailleur design. Building on SHIMANO’S long history of shifting technology, new XTR M9100 delivers groundbreaking advancements in drivetrain performance with the introduction of HYPERGLIDE+. The newly redesigned CS-M9100 cassette guides the chain both up and down the cassette, providing faster, smoother shifting in both directions. 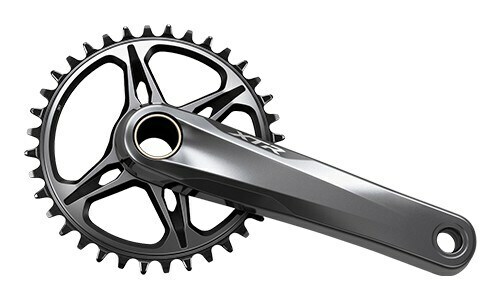 Adding to XTR M9100’s smooth drivetrain transmission, the new CN-M9100 HG chain features an extended inner link plate that connects seamlessly with new chainring tooth shapes for Shimano’s most efficient drivetrain. The new design reduces natural vibrations normally caused by the inner and outer chain plates rolling onto the chainring and provides better chain engagement, stronger retention, and smoother pedaling. M9100 HOLLOWTECH II crank construction offers a lighter and stiffer crank design and includes options for both front single and double front chainrings. Two Q-factor options (162mm and 168mm) are available for different rider needs and bike requirements. Chainrings are easily exchanged with the new direct-mount system and the cranks can be swapped between single and double front chainring setups. Enhancing rider capabilities and providing more gearing combinations, XTR M9100 features three cassette options to cover the diverse needs of elite level mountain bike riders and racers All feature SHIMANO’s new MICRO SPLINE freehub technology that allows the use of 10-tooth cogs. The new design also allows for an aluminum freehub body construction that isn’t damaged or gouged out by the cogs during use. The new cassettes also employ a new Beam Spider construction for improved power transfer and is built with a strategic application of aluminum, titanium, and steel materials for an optimal blend of weight savings, rigidity, and durability. 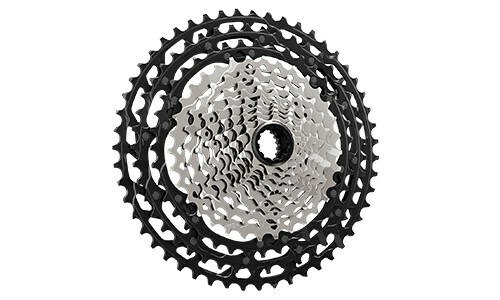 Built on the 10-51-tooth, 12-speed platform, this cassette offers the same Micro-Spline design to work with a small 10-tooth cog but decreases weight by up to 76 grams. Designed specifically for SHIMANO’s 12-speed XTR drivetrain, the MICRO SPLINE FREEHUB delivers a lightweight construction that works seamlessly with the system’s new small 10-tooth cog. As the name suggests, MICRO SPLINE features smaller freehub splines that help eliminate damage on the lightweight aluminum freehub. The new hubs also feature SHIMANO’s quieter SCYLENCE technology that provides rapid acceleration and higher rigidity for quick, 7.6-degree engagement. The freehub body is constructed of two driver plates that completely disengage when you stop pedaling, eliminating any freehub ratchet sounds while coasting. 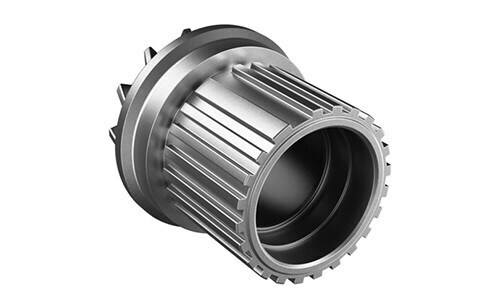 SHIIMANO offers a variety of hub options with the MICRO SPLINE, SCYLENCE, and CENTER LOCK technology including XTR-level M9110 and M9110-B hubs with a straight pull option (M9110-BS) as well as a more affordable non-series hub option (MT900-B) that will include a straight pull option as well (MT900-BS). FH-M9125-B – SHIMANO offers a Wide Flange rear hub option that provides improved durability through more balanced spoke tension and more rigidity with wider spoke bracing. The Wide Flange design also reduces weight of the drivetrain as it was designed specifically for use with the lightweight 11-speed cassette. 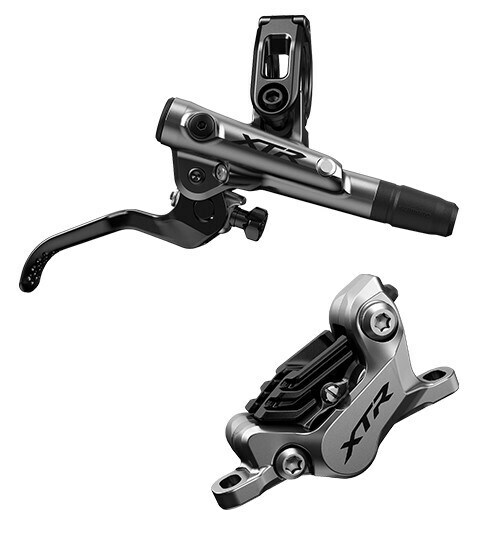 New XTR features three rear derailleurs that enhance shifting performance and are optimized for wide range cassettes with use in single or double front chainring systems. The derailleurs feature bigger 13-tooth pulleys and include Shimano’s proven Shadow RD+ low profile technology. Different cage lengths (SGS versus GS) are optimized for different gear ratios, providing optimal systems to work with the new 10-51 wide range cassette, 10-45 rhythm step cassette and one derailleur optimized for 2×12. For racers looking for single front chainring insurance, Shimano presents the lightweight and adjustable SM-CD800 chain guide. This unique guide allows for easy height adjustment as well as chain line adjustments by loosening a single bolt and turning a thumb screw. Then, tightening the bolt locks both adjustments at the same time. The chain guide is available in three mounting types: Direct, E, and ISCGO5. SL-MT800-IL – SHIMANO introduces its first seatpost dropper remote and it features ideal ergonomics where other dropper levers fall short. It enables quick adjustment with a lighter and more natural feel and is compatible with most dropper posts on the market since the cable clamps at the lever end. The dropper remote can be installed in the same position as a left shift lever using Shimano’s I-SPEC EV system design and offers 7mm of cable stroke. 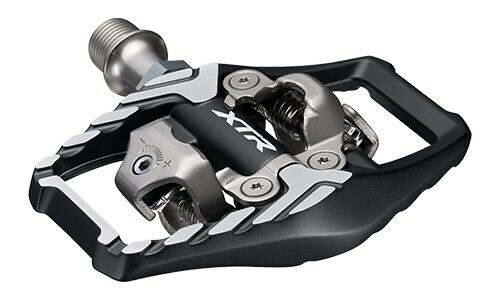 Further improving Shimano’s legendary mountain bike braking system, new XTR increases brake rigidity for greater bike control and optimizes braking performance for different riding styles. The 2-piston XC brake system offers a lightweight package with high rigidity while the Enduro-style 4-piston design prioritizes power and smooth braking feel. 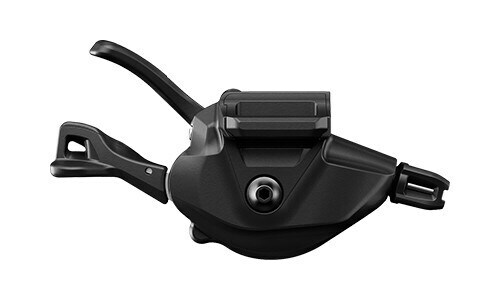 To improve rigidity at the lever, Shimano moved the brake clamp position inboard, creating an extra point of contact between the bar and the lever. This added bracing drastically increases efficiency and control over the bike while offering quick brake engagement. The new design minimizes impact on cockpit real estate, creating space between the clamp and support point for mounting other handlebar accessories. RT-MT900 –The new Ice-Technologies Freeza rotor construction boosts heat dissipation by 20 degrees Celsius thanks to a heat dissipating paint on exposed aluminum layer segments. PD-M9100 – The new M9100 XC pedals improve rider stability with wider edge-to-edge contact areas while improving mud shedding through rounded contact points and off-set bindings. Shimano’s Rider-Tuned design offers two axle length options including a new 3mm shorter axle to minimize the Q-factor for XC riders who are running Boost drivetrains. This new shorter axle also matches the Q-factor of Shimano’s SPD-SL road pedals, providing a smooth transition for road riders diving into gravel. PD-M9120 – A wider contact area on the new M9120 trail and enduro pedals improves stability while the expanded rearward shoe-pedal contact area better accommodates the sneaker-style flat outsoles used in enduro and gravity riding. The Rider Tuned 1mm cleat spacer creates a better interface with shoes of varying outsole design and lug height.